How long should I take between grades? What is the average time between music grade exams? This question is often asked by students and teachers alike and there is not just one simple answer, but in this post I will give you my thoughts on the subject as a teacher of over 30 years experience. I have heard it said that one grade per year is about average, although an exceptionally talented student might progress quicker. However, the question I asked at the beginning “How long should I take between grades?" is different from “What is the average time between grades?” There is a danger that we can turn learning music into an exam factory, where we are comparing ourselves to others trying to be better or quicker than our peers. And this doesn’t just apply to students. Sometimes teachers and parents can put pressure to progress through the grades quickly. It is true that exams are a good way of measuring progress, it is rewarding to feel that you have passed a certain level and this reward can be a motivation to try even harder to achieve the next level. I have had some students who didn’t want to do exams, just learn “fun pieces” but their progress has always been slower. Despite all this, we must never forget that we are learning to be musicians, not just technicians and musicianship is a skill not best learned by playing the same three pieces for 6 months or more. One of the best ways to learn musicianship is to play with others. This is a little harder for pianists, but still, you can try to find duets or even accompany other instrumentalists. I said earlier, that those who just want to play “fun pieces” often do not progress as well, but that is not to say that you shouldn’t incorporate other music into your practice. On the contrary, EVERY practice session should involve something not exam related. The more pieces you are exposed to, the better a musician you will be and regularly having something new to learn, even if not to the same standard as an exam piece, will do wonders for your sight reading. Is it a coincidence I ask, that so many people are bad at sight reading? Not a coincidence at all, these bad sight readers are the ones who only practice three pieces for the exam and nothing else, to the point where they have memorized them and effectively have done no real reading of music for a period of many months. So in answer to the question at the beginning, yes I think exams are very useful in measuring progress, they motivate you to work harder and you should try to achieve at least one grade per year, but NOT at the expense of becoming an all round musician. 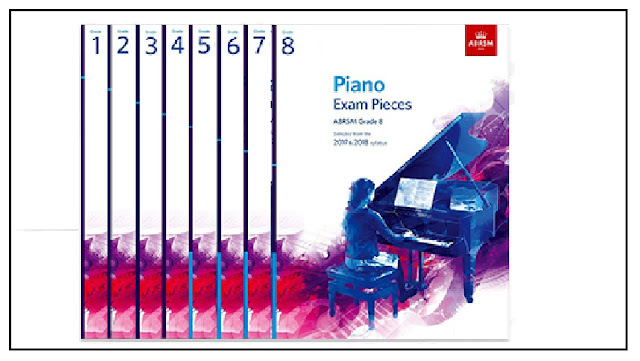 Please leave your thoughts in the comments below, do you practice other pieces apart from the exam material, if not, have you seen your sight reading suffer and how long was it between your last two grades, I’d love to hear from you.